One of the farmers began selling milk to cater to his family needs after his crops were destroyed and later committed suicide after being threatened by the moneylenders. BHOPAL: Distressed over debt, two farmers ended their lives in Madhya Pradesh on Tuesday, police said. The suicides were reported from Damoh and Guna districts of Madhya Pradesh. Rama Patel, 55, of Kankar village falling under Patharia police station in Damoh district had taken a loan from several moneylenders, according to police. The farmer began selling milk to cater to his family needs after his crops were destroyed. He committed suicide after being threatened by the moneylenders. "Rama Patel consumed insecticide on Tuesday morning. He was rushed to the hospital in Damoh in a critical condition where the doctors declared him brought dead," said Patharia Sub-Divisional Police Officer (SDPO) Praveen Bhuriya. "The deceased left behind a suicide note stating that he was harassed by the moneylenders as he could not pay their loan," he added. Bhuriya said that police has begun its probe into the matter, and that action would be initiated against the guilty. 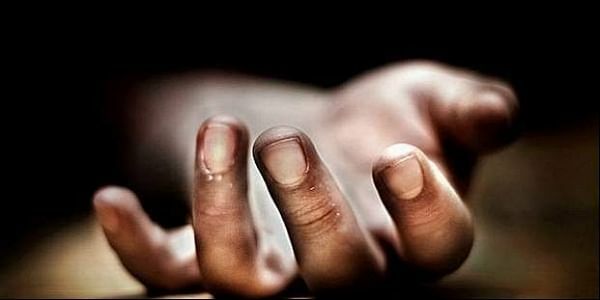 Similarly, 32-year-old farmer Sumer Singh committed suicide in Ukamad Kalam village falling under Guna district on Tuesday by hanging himself. The deceased's family members said that Sumer took loan to buy a tractor, but could not repay the amount, according to Bamhauri Police. He committed suicide as he was upset over not being able to repay the loan. No suicide note was found, but the police has begun its probe.